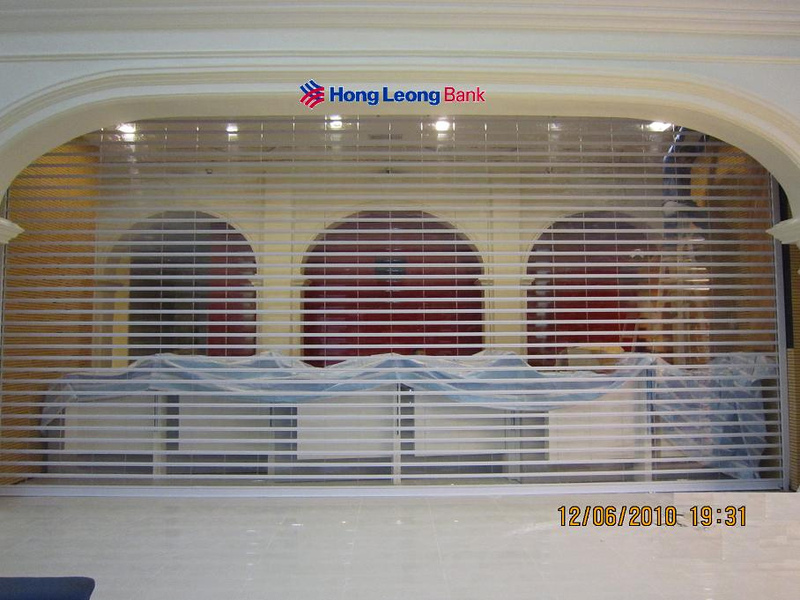 S.K Polycarbonate Transparent Roller Shutter provides you the excellent visibility and high level of security due to its durable and high quality composite polycsrbonate materials used and reinforced by aluminium tubes. This transparent meterial is made by polycarbonate, which is now widely used and replacing the traditional roller shutter. It allows you to have the full vision of your objects through the curtain while in the closed position. With its elegant design and outstanding quality, transparent roller shutter is highly praised and recommended by all users. 3. Excellent visibility of the shop products displayed. Shopfronts, Shopping Centres, Showroom, Clubs Hotels Bars, Doorways, Fashion Shops, Jewellery Shops, Banks and etc. 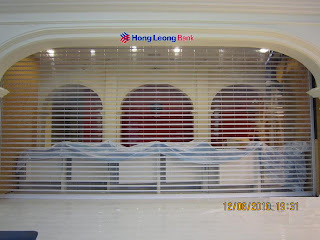 Shutter Slats are made with interlocking high impact polycarbonate moulded shutter slat combined with aluminium round bar. The slats are 1 feet in length and held in place on both ends by rubber tubings.